While an overbooked main event on Sunday didn't end things on the best note, Survivor Series weekend mostly lived up to the huge promise it had going in. NXT put on another excellent TakeOver special, with every match on the card serving its purpose. Even with the changes, War Games was a spectacle that justified WWE bringing back the concept. In one of the strangest endings to one of the strangest pro wrestling careers in history, Bret Hart officially announced his plans not only to retire, but to walk away completely, from a business often dubbed inside as the Hotel California, based on the line from an old 70s song. "You can check out any time you like, but you can never leave." Hart's career in the ring was almost surely over, due to a series of concussions suffered starting most likely on 12/19 from the famous kick by Bill Goldberg in the Starrcade WCW title match. Kevin Owens vs. Randy Orton, AJ Styles vs. The Singh Brothers in a handicap match, and the return of the Fashion Files (with an episode parodying the "Saw" movie franchise) are set for next week’s SmackDown. The show should also feature the follow-up to last night’s angle where Shane McMahon expected Daniel Bryan to fire Owens and Sami Zayn but he didn’t do it. Luke Harper and Erick Rowan are now just listed as “Harper” and “Rowan” respectively on WWE’s roster page after returning to TV. Tyler Bate & Trent Seven vs. Pete Dunne & Mark Andrews was the pre-show dark match prior to SmackDown last night. James “Kamala” Harris is breathing on his own now after previously being on life support. Finn Balor seemingly responded to Dave Meltzer’s report about Vince McMahon not thinking he’s over enough to face Brock Lesnar at the Royal Rumble by tweeting a picture of the crowd reacting to him. TMZ reported that David Otunga was granted the right to have custody of his son from 3 p.m. on Thanksgiving to 7 p.m. the following day. A hearing is set for Monday, where Otunga will ask the judge to vacate the order of protection Jennifer Hudson filed against him and will ask for temporary custody of their son. Daniel Bryan named AJ Styles as the person he’d like to wrestle if WWE were to clear him to return to the ring. Jinder Mahal cut a promo on Triple H to build up their house show match in India next month. 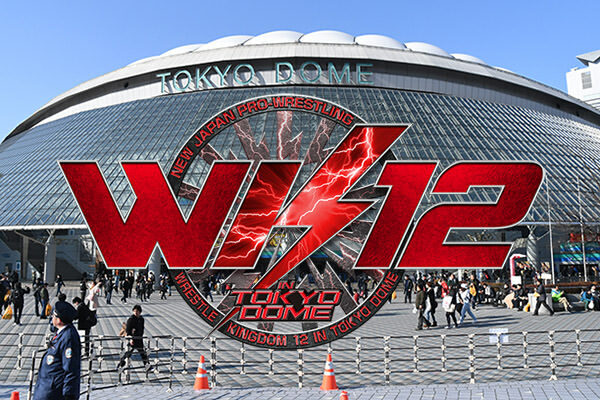 Tokyo Sports interviewed Kazuchika Okada about Chris Jericho facing Omega at the Tokyo Dome. After taking on Matt Riddle at their Global Wars UK show earlier this month, Minoru Suzuki is returning to Revolution Pro Wrestling for their High Stakes 2018 event on January 20th. Shane Strickland will face Matt Sydal at Defy Wrestling’s one-year anniversary show on February 2nd. The Washington Post ran a story on NOVA Pro Wrestling and how politics has shaped some of their storylines and characters. Nate Diaz’s boxing coach said Diaz likely won’t fight Tyron Woodley at UFC 219 because the company isn’t offering enough money for him to. He claimed Diaz should be making $15 million for his next fight because he’s a star right now. The California State Athletic Commission granted a continuance in Jon Jones’ USADA test failure case, with the hearing being pushed back to February. Khabib Nurmagomedov wrote that the UFC offered him a fight against Tony Ferguson for UFC 219 on December 30th at some point. Nurmagomedov said he accepted it, but his focus is now on facing Edson Barboza at the show. Daniel Cormier noted that Nurmagomedov told him Ferguson said no to the matchup. Mark Hunt was flown to Las Vegas to undergo further testing in hopes of being cleared for his UFC return. BJ Penn said he doesn’t feel the fire to compete right now but stopped short of saying he’s retired. The Asbury Park Press has a story on Frankie Edgar helping to give turkeys to those in need.